Indian Mound Park also known as Paulsen Point, was occupied by Indians attracted to the spot for resources on land and bay from approximately 1000 BC-1350 AD. The contoured landscape is a result of the habitation on the area. 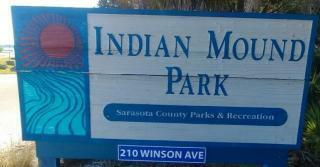 Indian Mound Park provides access to Lemon Bay and is a boat launching site.